I found this exceptionally powerful, especially as it seems to echo Ecclesiastes 3:11: “Also, He has put eternity into man’s heart, yet so that he cannot find out what God has done from the beginning to the end.” The concept that a desire for truth and happiness is inherent within us is nothing new, but Pascal puts it into beautiful terminology. Interestingly enough, a lot of stories seem to be haunted by this desire. The most recent one I blogged about would be my post on “How Eden Haunts Frankenstein.” In that post I argue that Frankenstein tells the story of the fall over, and over, and over again. At the core of Frankenstein is a desire on the part of many of the characters to get back to a place they’ve fallen from. 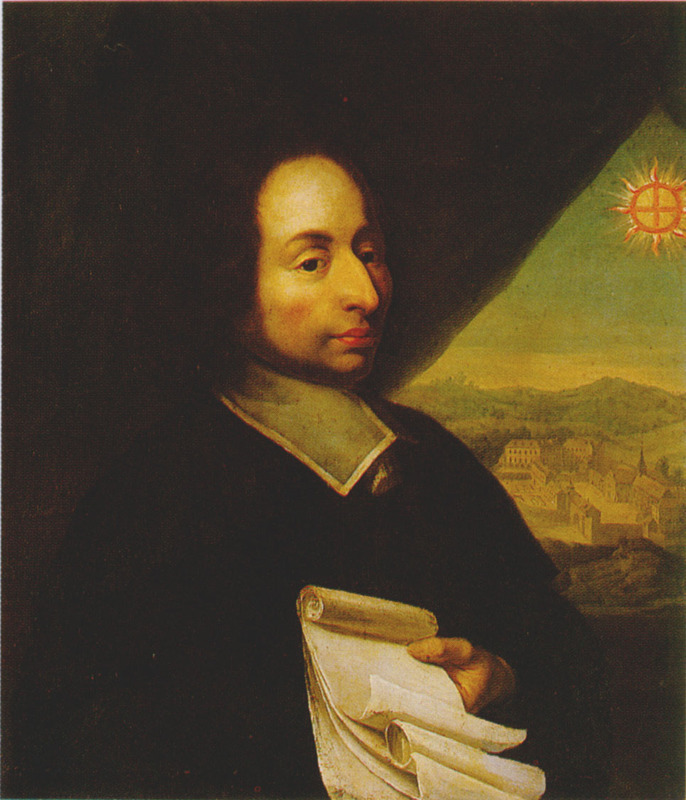 Pascal takes that idea, of the drive to return to perfection, a step further when he argues that a desire for truth and happiness exists to make us realize that the world once was perfect. Again, that plays out frequently in stories. It’s a theme I’ve been noticing a good bit lately, so expect to see more coming on this point. In the meantime, I simply wanted to share that quote and comment a little on it. Expect to see some more O’Connor analysis fairly soon and potentially more Pascal–he’s highly quotable. In the film The Dark Knight, Director Christopher Nolan includes a character that embodies a phrase. That character is Two-Face and the phrase is “there are two sides to every coin.” The embodiment is rather obvious, but the lesson is well-taken, and the saying seems to hold true. There usually are at least two sides to every issue, and every concept. Over the past school quarter I’ve read two books that seem show two sides of the same coin. I’d like to look at how Macbeth, by William Shakespeare, and Beowulf, by an unknown author, embody two sides of the concept of stoicism. Before I go any further, though, it might be helpful to define what I mean by stoicism. Merriam-Webster defines stoicism as, “the quality or behavior of a person who accepts what happens without complaining or showing emotion.” I mean something slightly different by the term, but I can’t think of another word to describe what I’m trying to get at. When I use the term stoicism in this post, I’m referring to two things primarily. The first is a staunch and unwavering–stoic, if you will–commitment to one’s actions, despite any adverse consequences. The second is a commitment to some sort of fatalism, some sort of acceptance that what happens will happen and that there’s nothing we can do to stop it. So how exactly do Macbeth and Beowulf display this? ring in his commitment to what he has done. He stands by it, even though he knows it is wrong. This is an interesting twist in his character. One might think that Macbeth, who seems loyal at first, would at the very least constantly regret what he’s done. But he doesn’t. Does he feel guilty? Sure. But it didn’t seem to me that there’s much, if any, regret. The fatalism comes in a rather interesting way. The obvious first appearance of fatalism is the witches’ prophecy. Macbeth treats it as a non-negotiable. He doesn’t seem to think that there’s anything he can do to stop it, but that it will happen, regardless of his actions. All his wife convinces him to do is speed up the inevitable. Do come to Dunsinane’; and now a wood comes toward Dunsinane. Arm, arm, and out! There is no flying hence nor tarrying here. It seems like a fatalistic sentiment, but a slightly less obvious instance fatalism comes in earlier in that scene. Macbeth is here speaking of Lady Macbeth’s death, but it’s of great interest to me how he puts it. The first line, “she would have died hereafter” followed by a monologue on the inevitability of death must be considered in our discussion of fatalism. To sum up what appears to be said about stoicism in Macbeth, Macbeth’s staunch commitment to his actions lead to his ultimate demise. In addition, it seems like they seal the audience’s opinion of the character. We might have forgiven him if he had been so riddled with guilt he wasn’t able to operate, and ultimately repented. But there’s none of that. Sure there’s guilt, but he is committed to his actions. The fatalism seems to actually be one of the causes of his death. Perhaps he would have lived, at least a bit longer, if he had fled from his castle. We’ll come back to Macbeth in a second, but I want to look at Beowulf. This one’s easier, but presents the other side of the coin to Macbeth’s rather tragic approach to stoicism. Beowulf is stoic in his commitment in a much better way. At least, it is looked upon more favorably in the book. When Beowulf arrives in Hrothgar’s land he is irrevocably determined to kill the monsters or die trying. Before all three of the fights in the book, he expresses his fierce determination and unwavering resolve. He will do what he will do, regardless of any opposing forces. It’s far more obvious than in Macbeth, but still provides what I believe to be an important part to this discussion. The fatalism is slightly less pronounced in Beowulf, but to me it definitely seems to be there. At multiple points in the story Beowulf speaks of how his battles are predetermined, to an extent. He’s going to fight as hard as he can, but he doesn’t seem to think that the outcome is ultimately up to him. It’s a subtle sort of fatalism that might not even be worthy of the name, but it’s similar to Macbeth’s. So what’s the point? The point is simply this: I found it fascinating how these two stories provided the opposite views on this issue of stoicism. 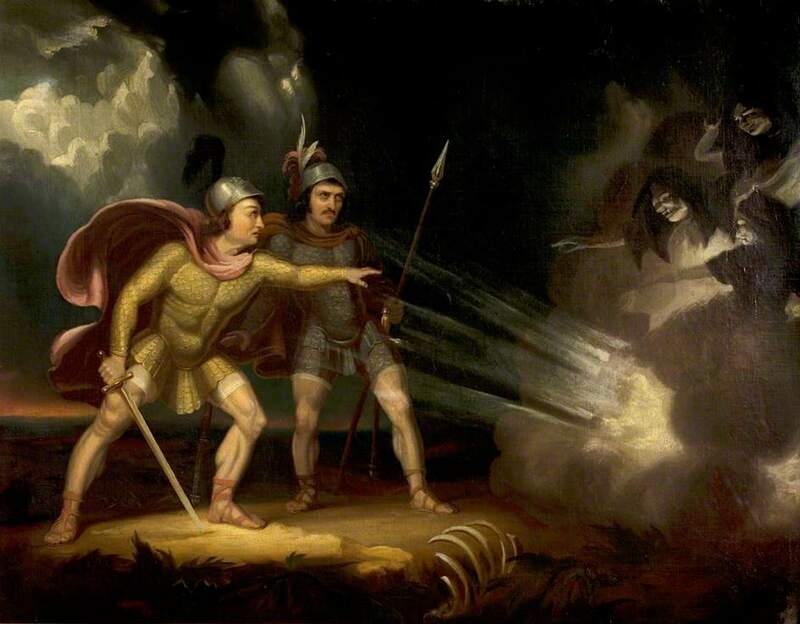 Macbeth shows the dark side–the staunch commitment to his actions ensures his total descent into evil, and his fatalistic beliefs appear to be one of the causes of his death. Beowulf gives us a better view of the first part of stoicism. His stoic approach to his battles inspires hope in his friends, and seems courageous to us. The fatalism seems to be neutral in the story–not commented upon one way or the other. Thus, we see two sides to commitment, and two sides to fatalism. We see how unwavering commitment can destroy, and how it can be courageous. We see how fatalism can also destroy, and how it can simply be accepted and lived with. Whether or not the authors intended these themes to be present in their story, I couldn’t help but notice the way they apparently unintentionally play off each other in regards to this theme. It’s not a mind-blowing thought by any stretch of the imagination, but it stood out to me as I read these works. We all know those books. We’re assigned them in some English class, have heard of them before, know they’re well-regarded, and are probably mildly interested in them. And then we read them. And we ask ourselves what exactly is going on. 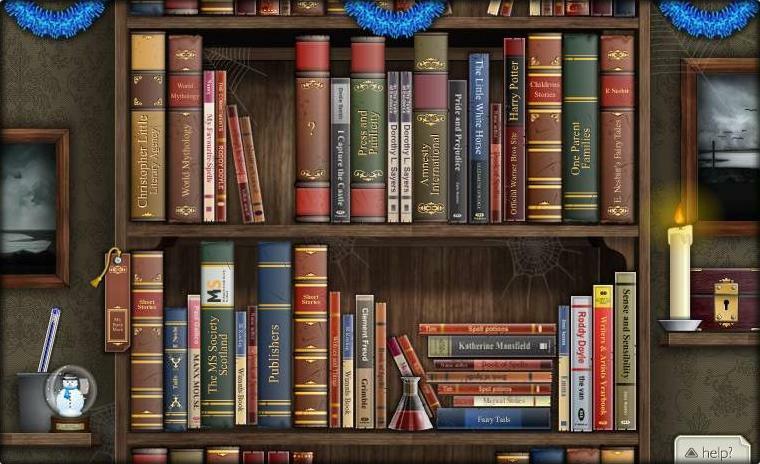 Why are these books remembered? What’s the big deal? There doesn’t seem to be much of anything extraordinary about these books, they’re just…books. They don’t seem to be life-changing, worldview-altering, or even mildly interesting. We’re left wondering why this is a book that so many people regard so well. I read a book like this recently, and you’ve almost certainly heard of it. It’s called Canterbury Tales, by Geoffrey Chaucer. I finished the Prologue and the first tale and was completely at a loss as to why I was reading this. I knew that there must be some reason this book was remembered, but I was genuinely clueless as to what that reason was. That’s when I remembered what W.H. Auden said. It’s a simple quote, but it’s something that resonated with me. Even though I didn’t “get” Canterbury Tales, I knew that there were people that did–and when they got it they realized that this was a good book. Canterbury Tales is remembered, like all classics (at least according to Auden), because there is something quite worthwhile about it. So I gave it a chance. I kept reading it, and kept trying to figure it out. I went to class still with no idea as to what the point of it all was. And I walked out of class knowing, at least in part, what Canterbury Tales was all about, and why it was remembered. The point of this post isn’t to analyze Canterbury Tales, so I won’t go into detail on that. It was such an interesting experience that it reminded me of something that Sam Koenen, a teacher, said when talking about how many people read books today. I’ve seen this as true in my own reading. I’ll be reading a classic, not get it, and assume that therefore there’s nothing there to get. What Koenen pointed out to me is that that is an incredibly impatient and arrogant way to view a book, especially a classic. Auden reinforces the point by assuring us that classics are classics because there’s something there. He assures us that we won’t be disappointed when we decide to give the book a shot. Combined, I think that what Auden and Koenen are telling us is that we should give a book a chance. Even if we don’t get it right away, or at all, we should still give it a shot. It may take some time, it may take some discussion and some reading of other’s writings on the subject, but it will be worth it. Classics are classics for a reason, and I need to remember that. My family tells me I argue far too much. I ask them to prove it. Well, sort of. I know they’re right, but I do find it difficult to hold back when there’s an argument taking place, or one begging to happen. As such, I seriously connected to the main character, Rayber, in Flannery O’Connor’s second published story entitled “The Barber.” Once more, I highly suggest you go read the story here before continuing on with this post. (Apologies for the low quality, I couldn’t find the story anywhere else.) Otherwise this post almost certainly isn’t going to make sense. Interestingly enough, I find The Barber to have a similar overall theme to The Geranium. Where The Geranium seemed to deal with the control side of pride, this story seems to deal with an obsession with agreement. Well, an obsessive impulse for everyone to agree with you. 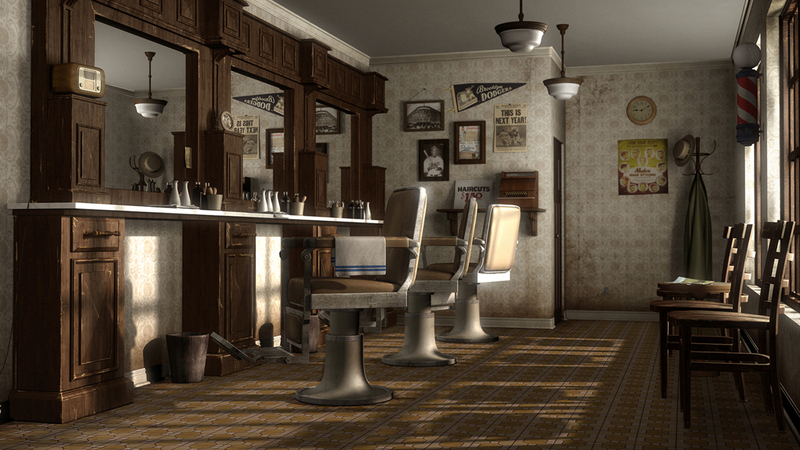 The Barber, like The Geranium, is a trite story, with an obvious theme. The main character is named Rayber, and the story takes place almost solely during three different visits to a barbershop. What develops is a not-so-subtle, but yet biting story of pride and its inevitable downfall. The story begins by introducing us to two candidates–Hawkson and Darmon. It’s significant to note Hawkson’s name, and we’ll see why in just a second. Rayber engages in an argument with the barber, and, because of his timid personality and easily flustered mind he completely loses. The interesting thing is that he doesn’t recognize he’s like that. He views himself as perfectly capable of winning the argument with the Barber, and continually gets frustrated with himself when he gets flustered, instead of expecting it. I’ll go out on a limb for a second here–even though I couldn’t point you to too many lines, the way Rayber’s internal monologue is written gives the impression that he’s shocked anyone would even disagree with him to begin with. He seems to look down on the Barber and all who disagree with him. This appears to contribute to his inability to think on his feet. He can’t imagine that anyone would disagree with him, and thus doesn’t know what to say when they do. Again, this goes back to the whole idea of control, to an extent. Both Rayber and Old Dudley, the main character of The Geranium, can’t imagine that people do anything else except what they want them to do. They think reality fits into little boxes they set up. What ends up happening is that Rayber agrees to prepare an argument and come back to combat the Barber. He obsesses over this, formulating each word, and finally goes to his friend Jacobs, who never engages in arguments. There, this fascinating exchange occurs. “I never argue,” Jacobs said. Jacob snorted. “Oh yes I have,” he said. “But you know you’re right,” Rayber persisted. It strikes Rayber as odd that someone wouldn’t defend their position and ensure that they were always shown to be in the right. He ignores the complacency of Jacobs, and firmly ventures on to the barbershop, certain that he will persuade everyone there. Even in this, he ignores the fact that he can’t think on his feet, and that he can never persuade anyone. The crux of the story actually occurs, I believe, on his way to the barbershop. He sees in the window of the store an advertisement for a product said to help “Timid Persons…Kill Their Own Fowl.” Remember how I said Hawkson’s name is important? This is where it is. Metaphorically speaking, Rayber is trying to “kill” Hawkson. Hawkson, hawk-son. See where I’m going with this? The advertisement tells us the truth about Rayber, but Rayber can’t see it. Rayber is a timid person, trying to kill the fowl, in this case, a hawk. He can’t see that though, and as a result the discussion goes horribly. He ends up making a fool of himself and storms out of the shop, humiliated. And all of this happens because he is a timid person trying to kill a fowl, and he can’t do it. He’s not strong enough, but he won’t recognize that. In spite of his personality, Rayber is obsessed with being right, even though he can never prove his side. It’s, once more, a bit of a trite story. But it still tells us something valuable about accepting the truth about ourselves–and sometimes that truth isn’t comfortable. The bigger theme, though, is that of Rayber’s obsession with being recognized as right. And, needless to say, the result of this obsession isn’t good. Which tells me, at least, that maybe I should stop arguing so much. So today I’ll be starting a new series. I’ll be blogging through Flannery O’Connor’s short stories in chronological order, analyzing them, and trying to figure out what each one is saying. Her first published story is called “The Geranium.” It tells what appears at first glance to be a rather trite story. I highly suggest that before you read the rest of this post, you jump over to this site, and read the story. It’s available for free, and the ensuing observations will (hopefully) make more sense if you do read it. So, let’s go ahead and start to dissect the story. The main character, Old Dudley, is an interesting figure. From the first page we get the sense that he’s quite arrogant, full of his own opinions, certain that his views are the right ones. Even to things as trite as deciding that his neighbors shouldn’t have a geranium. “Those people across the alley had no business with [the geranium]…they had no business with it, no business with it,” he says near the beginning. It’s odd, isn’t it, how sure he is of his own opinions? It goes on and on, too. “The geranium is late today,” he pronounces to himself, frustrated that his neighbors don’t abide by his schedule. He’s frustrated by the demands of his daughter, frustrated by the business of New York. He’s frustrated that he can’t understand it. He’s angry that he can’t control it. And that’s one of the most important things–Dudley is searching, constantly, for control. When he came to New York he was immediately dissatisfied. Why? Because he can’t control it. He can’t fully comprehend it, and he is, frankly, intimidated by it. The hugeness of it, the constant movement, the millions of people each going about their own lives–in other words, reality–slams headfirst into his own version of reality in which he’s in control. In which he’s always right. To me, this seems obvious in one section in particular. “Old Dudley would have liked to have explained New York to Rabie. If he could have showed it to Rabie, it wouldn’t have been so big–he wouldn’t have felt pressed down every time he went out in it.” If he could control New York, he wouldn’t be so intimidated. In my opinion, as I read the story, Dudley’s constant grasping for control is crucial, and ultimately, his illusion of control being violated is what sets up the finale. It begins, after we’ve already gotten a good understanding of his racist beliefs, when a black person moves in next to them. Dudley is angry, and his daughter turns to him and says “You tend to your own business…don’t have anything to do with him.” She violates his control. She tells him what to do, what to be OK with. She tells him to “mind his own business.” But the real climax is when he meets this same person one day on the way back up to his apartment. And, in direct defiance of the way that Dudley sees the world, his next-door-neighbor treats him as an equal. Dudley can’t stand it. Almost in a daze, he runs back to his apartment, getting inside as fast as he could. He’s angry, he’s confused, and he suddenly feels like he can’t control things. That’s not how people were supposed to act towards him, in his mind at least. The control is gone, and Dudley is, very simply, angry. So what does he do the second he gets back in his apartment? He runs towards the one thing he thinks he can control–the geranium. But instead of the geranium a man is sitting there, watching him. The geranium is on the ground, several floors below, having fallen off the ledge. [The geranium] was at the bottom of the alley with its roots in the air. “I only tell people once,” the man said and left the window. Dudley first has his control broken by his neighbor treating him as an equal. His illusion of control was weakening every time he went out in New York, as he realized how big the city was, and how small he was in comparison. Then it was broken by his neighbor, and finally his illusion was shattered by the rebellion of the only thing he felt like he could control. It seems that the story is, to some extent, about control. It’s about a man’s obsessive pursuit of it, and how ultimately he can’t achieve it. Like everything I’ve read by O’Connor so far, the story rings true. People do seem to seek after control, almost obsessively at times. Though the result in this story is simply a moment of embarrassment and anger, it certainly seems like the consequences could have been far more dire. Control, the story seems to say, is elusive. And people who have illusions that they are in control are in for a rude awakening. The illusions will be shattered, and those who have them could very well be in worse shape than before. In the last part of this discussion of the theme of Fahrenheit 451, I observed what appeared to me to be Ray Bradbury’s subtle critique of freedom. I proposed that his critique rested in the fact that the people in Fahrenheit 451 freely choose to, in essence, let the government take over. It’s a dark take on freedom. Here’s the final part in this examination. On the flip side of that rather morbid approach to the concept of freedom, there was an examination of the good that freedom can do. Or at least, there seemed to be a hint of hope. If you think about it, the pursuit of freedom in the novel doesn’t actually bring about any changes that we see. At the end, the city has been destroyed, millions of people are dead, and the country, in essence, is in ruins. That’s not a terribly happy or optimistic ending. So where does the novel leave the concept of freedom? It leaves us with a ruined country and a people who are free from their government. They are free from those who enslaved them, but there’s no answer given to the question of “what happens next?” Is a free society set up? Oddly enough, I’m almost tempted to take the novel as having a pessimistic view on freedom. When I think about it, characters in the book praise the value of freedom, but we don’t actually see it giving anyone anything. But perhaps that gives us the theme of the novel. We don’t see people doing good things with their freedom. We do see them doing plenty of bad. At the same time, however, there’s hopes and dreams that characters have of a free society in which people use their freedom properly. So perhaps the theme of the novel isn’t censorship, or even freedom as a concept. Perhaps the theme of the novel is simply that freedom isn’t perfect. Freedom can lead to a dangerous totalitarian system, but also a safe, tranquil world. People aren’t perfect, and so they misuse and abuse their freedom. They can make bad choices and good choices; both freely. I’ll have to think about it some more, but it seems like that could very well be the theme of this novel. As to what I think of that theme, and whether I agree with that message or not, I won’t say. I will say that I thoroughly enjoyed Fahrenheit 451, and am eager to discuss the book and the theme with others.